Incfile $49 + state fee) for basic & quick incorporation. LegalZoom ($149 + state fee) for the most popular incorporation service. First, make sure that the name you’d like to file isn’t already taken. Check for name availability at this link, https://businesssearch.sos.ca.gov/ — the list is updated every few days. Next, make sure that the name is 1) not too similar to a brand name that’s already recognized by the state, 2) free of restricted wording, and 3) not misleading about the business’ purpose. You should also conduct a search for trademark conflicts using the U.S. Patent Office Tess System. Keep in mind that your brand name must contain the word “Corporation”, “Company”, “Incorporated” or “Limited”. Abbreviations are also acceptable. The next step is appointing a registered agent in California to receive official documents like state filings, tax forms and legal notices for your corporation. Quick Note: Hiring a professional is really the best way to go, and the cheapest way to get one is through a reliable online filing service like Incfile. They include a full year of these services for free when you incorporate your business with them! Now that you have a registered agent, you’re ready to download the Articles of Incorporation and file with the CA Secretary of State’s office. Instructions are provided — make sure to read them carefully if you’re doing this on your own. In order to file this document, you’ll need to pay the filing fee of $100. Keep in mind that if you choose to work with a lawyer or incorporation service, you’ll also be subject to a service fee. Your corporate records book is where you’ll keep all the hard copies of your critical corporate documents. This includes your Articles of Incorporation, corporate bylaws, meeting minutes, stock certificate ledger, stock certificate stubs, stock transfer documents and more. Corporate records books aren’t required by California state law, but they’re very common and can seriously come in handy while you’re building your new business entity. We’re huge fans of corporate kits, too — these typically include customized pieces like a corporate seal, engraved leather binder, bylaws and stock certificates. Appoint at least 3 directors who, among other things, will oversee the corporation until the first shareholder meeting when new directors will be voted in. Appoint officers & create corporate bylaws. Choose a bank & approve the issuance of stock certificates. Agree on a corporate seal and adopt official stock certificate form. The importance of the corporate bylaws is worth noting — your bylaws are like a rulebook for your business, and they’re essential for every corporation. It’s also a good idea to have a partnership agreement if the corporation has multiple owners. Check out some of our favorite corporate bylaw templates for a little guidance! Different banks offer different perks for small businesses, so it’s well worth checking out quite a few of them. Read our reviews of Capital One and Chase to get started. As far as simplifying your finances goes, using a separate business bank account is really the only way. If you mix your personal and business finances, you’re just asking for trouble. Open up a business bank account using your EIN (see step 7), sync it with some accounting software and use ONLY that account for your business. Never, ever use corporate accounts for personal expenses. This way you’ll be well-prepared for tax time and better able to manage your finances! Obtain an EIN (Employer Identification Number) for free via the IRS online application. Your EIN will act like a social security number for your business. Bookmark the closest CA district office of the Small Business Administration, and the Secretary of State’s business resources page. File a 2553 Election Form with the IRS if you’re seeking s-corp status. Some counties and cities require a general business license (often called a tax certificate), so check out your local city hall webpage to determine whether or not you need one. California does not issue general state business licenses, but they require special licensing for many professions: importing, serving liquor, selling tobacco — the list goes on. If you could use some help finding out what permits, licenses and taxes your corporation is obligated to take care of, you can always hire a business license service to do the legwork for you. 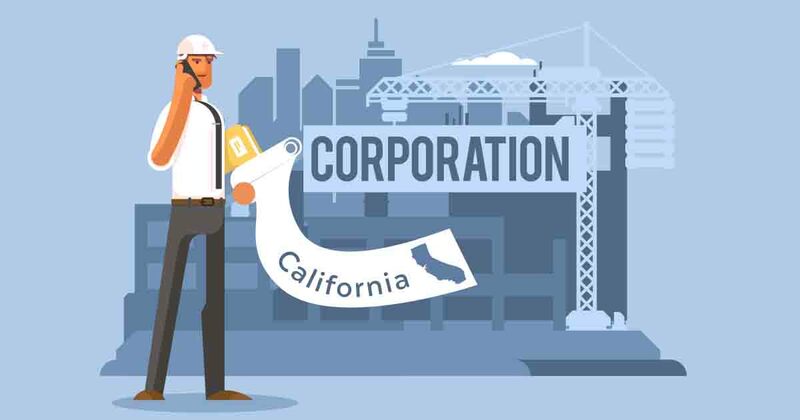 Forming a corporation in California is serious business, and not all entrepreneurs have the time and energy to do it all on their own.